These are two of my Christmas fabric projects for this year. I made a tree skirt for my flat back Christmas tree CLICK HERE and a sweet stocking for my fireplace. To make anything round or in this case half round, you need to use a string with a pencil attached to one end. The length of string is the diameter of the piece you need. (Include the length of the pencil also.) Hold the string in the center and draw a line with the pencil. I folded the fabric in half first. I had to do this step twice because the first line is too far out. 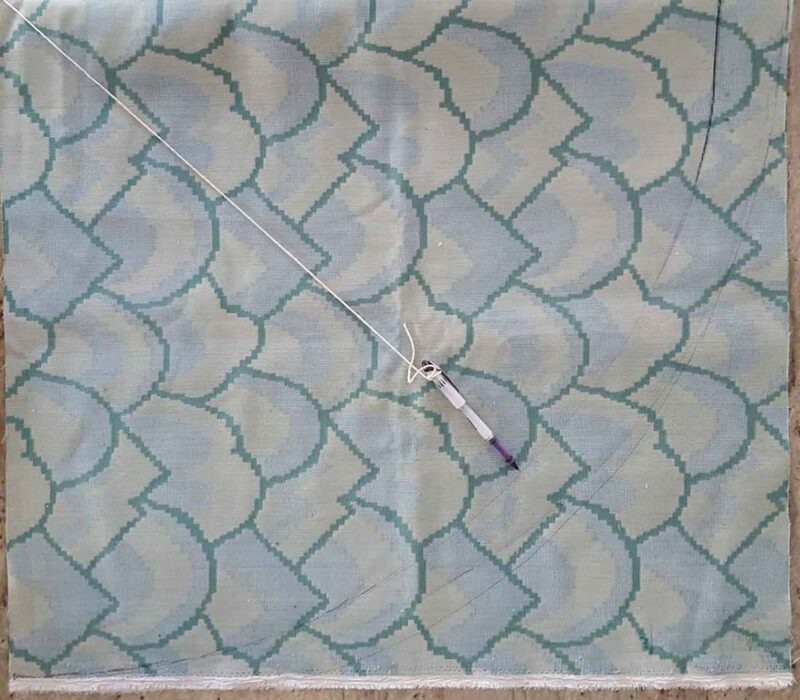 I mark on the wrong side of the fabric. Be sure to catch our podcast episode about how to create the BEST Christmas vignette! I cut along this line. Next I hemmed the fabric with a 3/5 hem. It was a quick project. If you need a tree skirt for a regular tree then you’ll need a 360 degree skirt rather than my 180 degree skirt. I did not cut out a notch in the center for the tree because it’s a half round skirt. 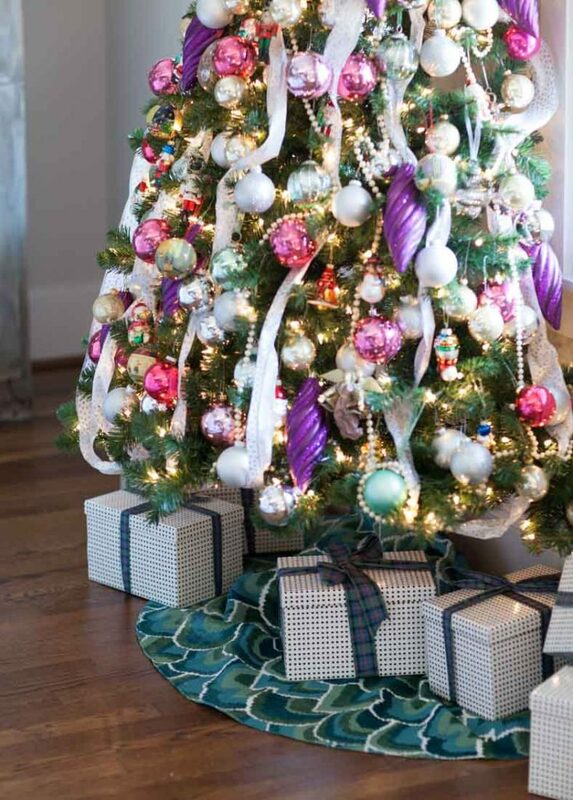 If I made a full skirt for a regular tree I would have done that. This fabric was provided by my sponsor CALICO. It’s from their Madcap Cottage collection. 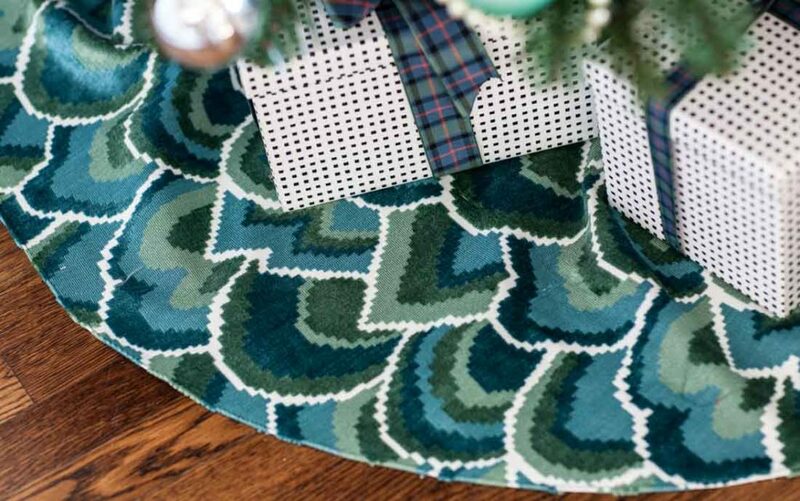 It’s a two-fer today because I am sharing 2 Christmas fabric projects with you. Next I made a very simple stocking. 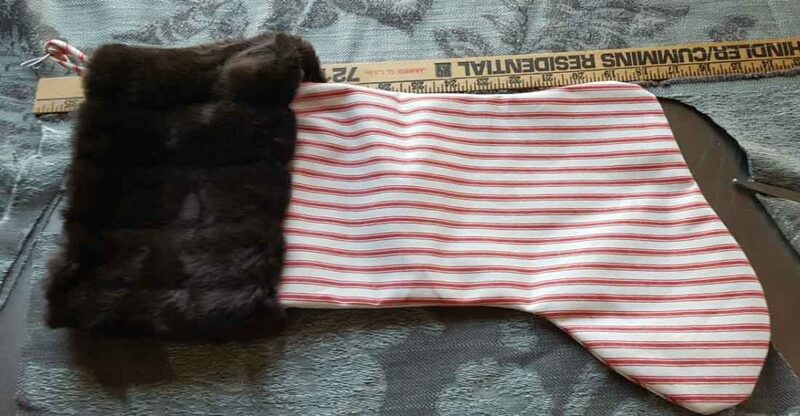 I used an existing stocking for my pattern. 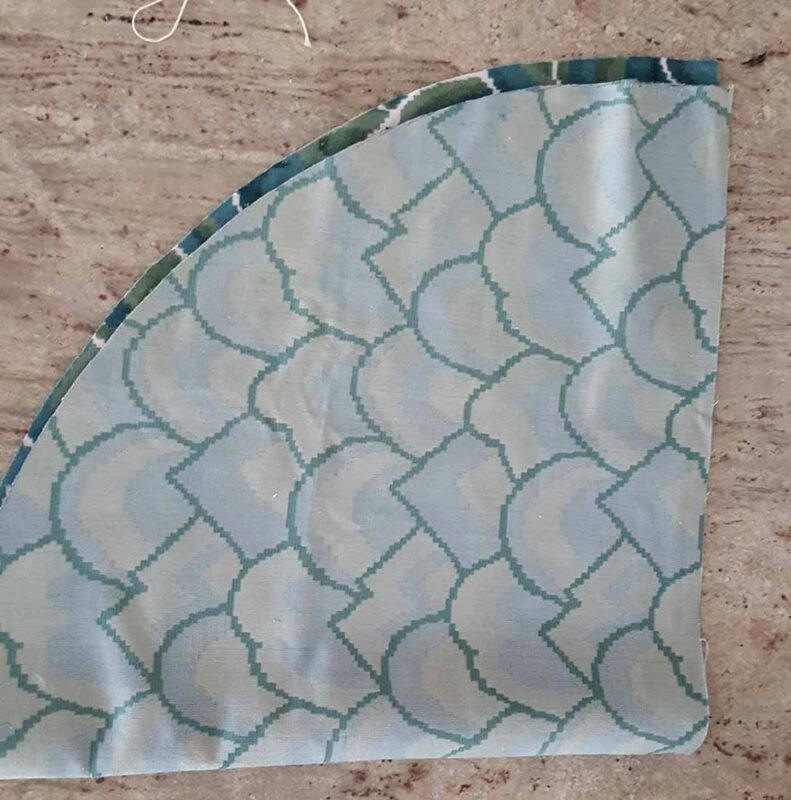 I added about a 1/2 inch seam allowance when I cut the fabric. I cut two pieces at the same time, so I had the right sides together when I cut. Then I added a seam all the way around, except at the top. I pressed the top of the stocking and did a hem at the top. That was it. 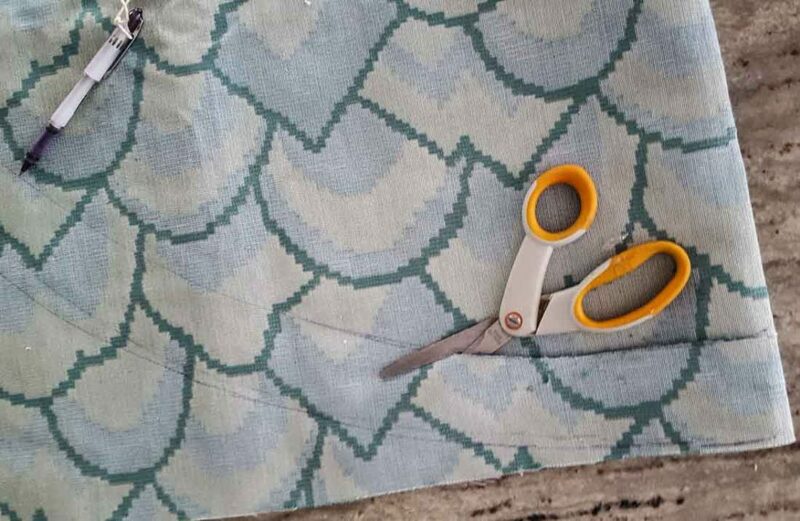 This luscious fabric is also from CALICO. 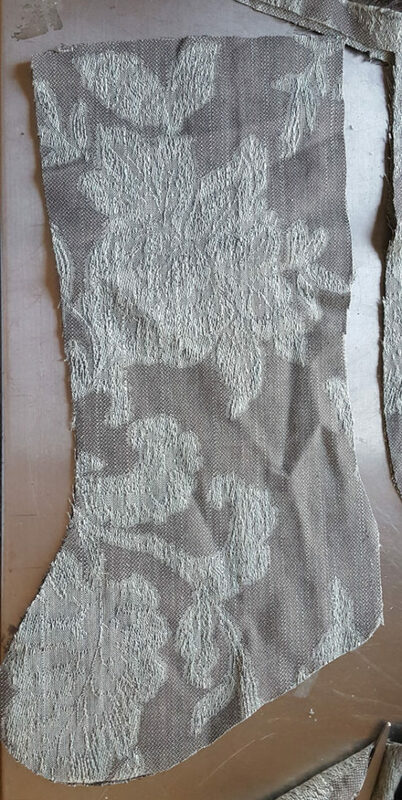 I think this fabric would look great with a faux fur cuff, but I didn’t have any of that fabric. It’s still quite charming. I stuffed the stocking with paper to give it a bit of fullness. That is a cute fun idea! And I just may do it! 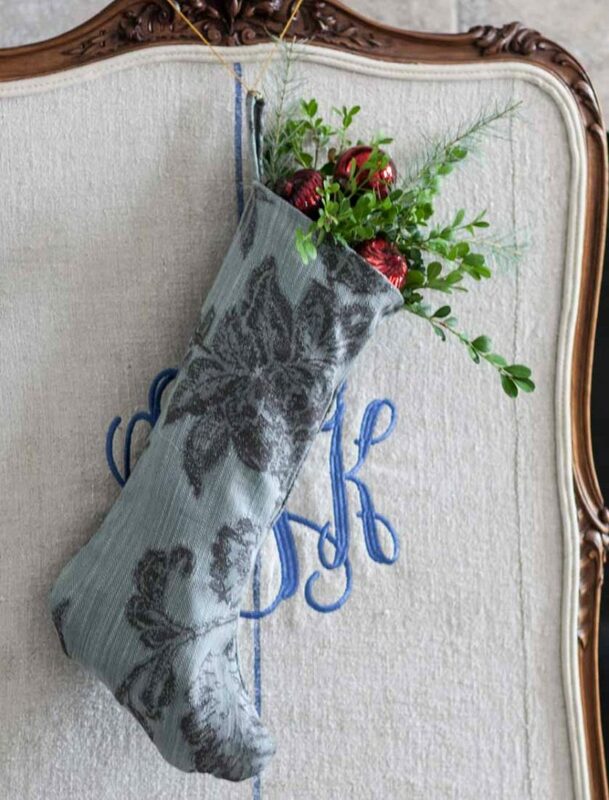 LOVE the stocking and the way you decorated it. Yesterday I clipped a boxwood bush and added some of the cuttings to a lovely antiqued green bucket..(it has a flat back)..and hung on my front door..(will also add some red ornaments like you)..love your ideas! I always enjoy your fabric projects, Anita. But FYI, there’s no such thing as “too much butter”! I love these fabric projects, but I wanted to comment about your fudge project 🙂 You actually recreated one of my most beloved cookies from childhood! There was a bakery in New Orleans years ago (no longer there) that made “turtle cookies”. They were shortbread cookies with pecans for the head and feet and topped with a thick fudge icing. Every time we went to New Orleans, we had to get a box, but they were always gone by the time we reached home! Thank you for that lovely memory. Judy, what a great idea! Mine don’t look like turtles, but I could have done that. 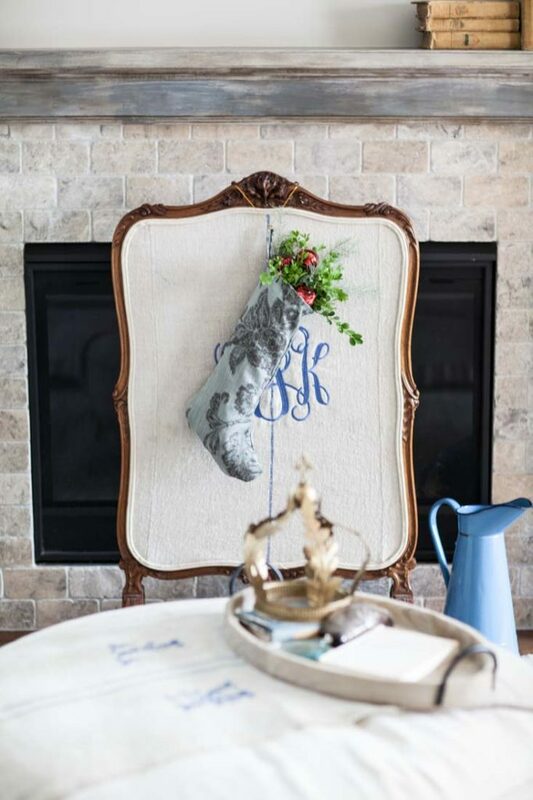 Is that a fire screen or a chair back that’s in front of your fireplace – the monogram is gorgeous! Fireplace screen Jayme. I had the fabric monogrammed before I added it to the screen.